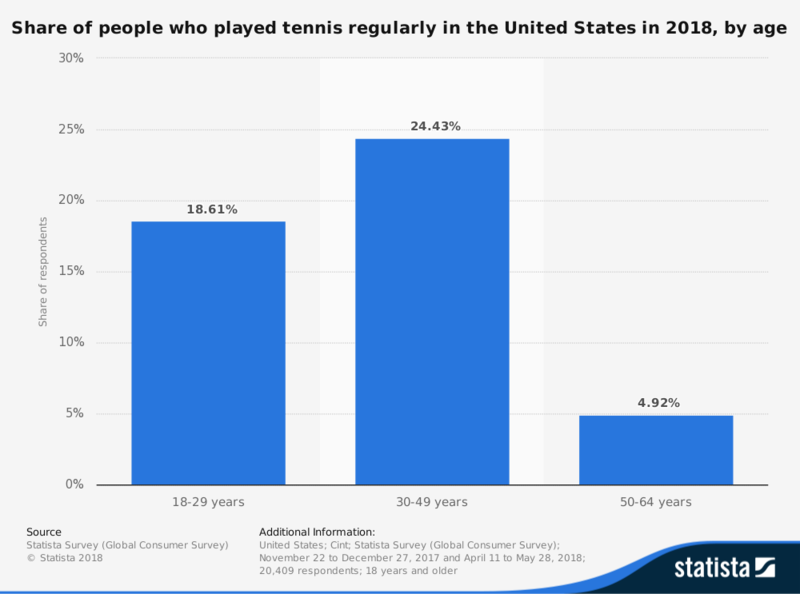 Although tennis is not one of the most popular sports in the U.S. or around the world, it still registers high participation rates. In 2017, there were 345,000 students in high school who were participating in an organized tennis program. The wholesale revenues generated by the sale of tennis balls totals $81.2 million globally. That is despite the fact that just 7% of U.S. consumers say that they have a lot of interest in following professional tennis. In total, the tennis economy is valued at $5.5 billion, even though interest in tennis has grown by 4% since 2012. That makes the sport a top-10 participant growth sport in the U.S., but it falls outside of that category in terms of sales. 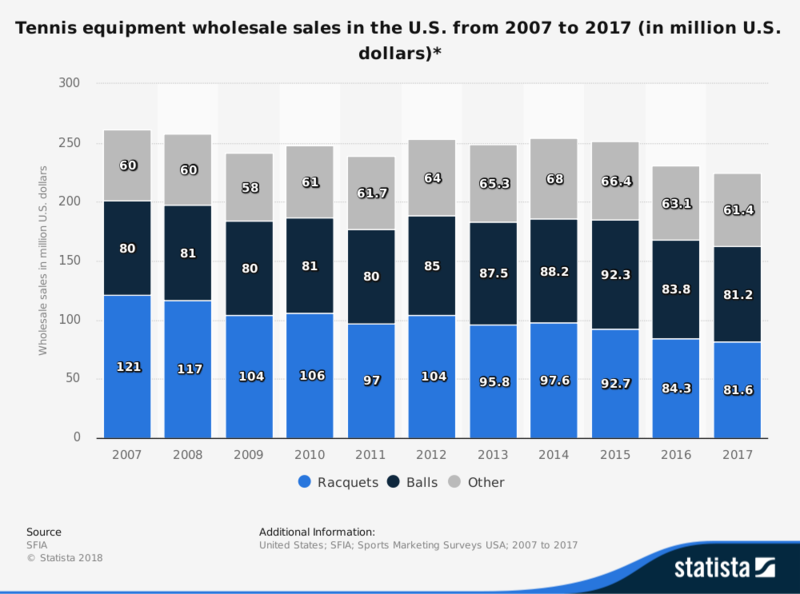 That means the tennis industry faces a unique challenge: getting their interested customers to a point where they want to spend money on equipment. The tennis industry has taken the first steps forward on a journey that will likely be long and difficult. More players, including youth players, are coming to the sport. The growth rates in the younger demographics, however, are not shifting the spectrum of the playing population. Customers are aging for this industry and they are spending less money. Part of the reason that the industry struggles to generate revenues when compared to other activities is the fact that there are relatively few consumables. Tennis balls are the primary consumable that players must purchase. Shoes, clothing, and rackets are all long-term investments which even core players can use repetitively without needing a replacement over the course of a year. If playing trends continue to move upward, the industry will keep seeing small surges in revenues from beginners. To create more strength, the industry must become more innovative with its lesson structures, manufacturing processes, and embrace of youth participation. More small courts must be lined or constructed. Lessons which target youth and their parents must coincide with each other. This must become a family sport from a marketing perspective. Otherwise, it will continue to be a sport of interest because of its low barriers to entry, but it will not be a sport that generates revenue growth.